Enhance Education with Amazing 3D Augmented Reality Experiences - Upcoming Media Inc. Motivating students to learn and excel should be every educator’s mission. With augmented reality (AR) experiences through mobile apps, students today have the opportunity to not only learn, but also be completely engaged with their studies. The results are better grades and an improved love of learning students can take with them throughout their lives. Best of all, both you and your students will look forward to your time together every day, building relationships and creating a solid foundation for mutual growth. No more heavy textbooks or bored students! AR can help stimulate young minds with advanced technology and amazing 3D visualizations that improve their understanding of concepts traditionally taught in 2D. Imagine creating learning experiences in beautiful 3D that captivates and inspires your students. With AR technology, you’ll visit faraway lands, explore outer space, and discover the inner workings of the human body as if it is really there! 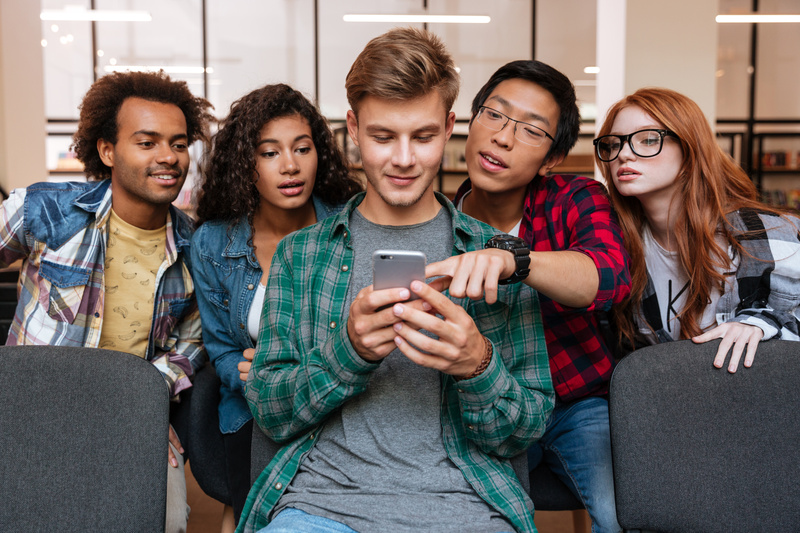 Students can download the free Upcoming Media Solutions app for Apple iOS and Google Android and log in to start learning in a whole new and engaging way. AR experiences are fully interactive and allow teachers to quickly and concisely present information, regardless of what grade or level they’re teaching. Our educational solutions for teachers and educators can be used with the Upcoming Media Solutions app, or our specialists can develop one completely specific to your particular needs. In either case, you get robust 3D AR technology that will thrill your students and bring your classroom to life. Our online management tools allow teachers to enter, update, and improve 3D models whenever their program changes, giving students the most up-to-date information at all times in the classroom. This feature saves time and money by eliminating the need to print different pages every semester. Your Upcoming Media Solutions project manager can provide a monthly analytics report that enables you to identify learning issues, change focus areas, or modify course curriculum as your students’ needs evolve. If changes and optimizations are needed, an asset specialist can easily make them for you. You can also use real-time key performance analytics and quantifiable data to identify learning issues, change focus areas, or modify course curriculum as your students’ needs evolve. Not only can program material be presented in 3D augmented reality, teachers can too! On demand, you can “appear” in 3D in your students’ living rooms to provide a virtual one-on-one learning experience whenever they need a little extra help. With secure hosting and fast cloud delivery system, we can build you a customized project that’s easy, fun to use, and elevates the teaching and learning experience. The Upcoming Media Solutions app is a free download available for Apple iOS and Google Android that demonstrates what AR innovations can do for your school, college, university or learning center. Build better teacher-student relationships and develop your students’ love of learning with AR experiences that make teaching easier and more exciting.